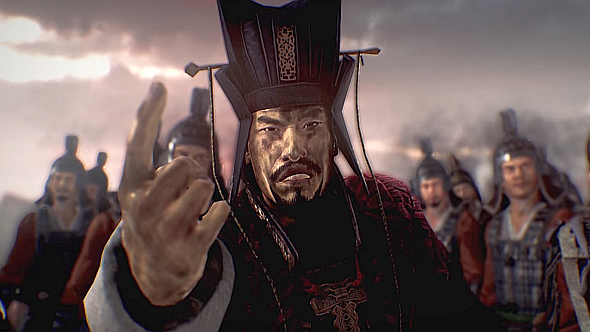 Total War: Three Kingdoms will feature full-fledged espionage for the first time in the strategy series’ history. The existence of spies in the upcoming title, which is set during the Chinese historical period of the same name, is already known, but how exactly will your sneaky new friends work? In a video released today (which you can check out further down this article), developer Creative Assembly gave an insight into the game’s espionage systems. In three Kingdoms, your spies will be far more potent than they’ve ever been before – previous games have featured agents who could gather intelligence for you, but they weren’t exactly James Bond. When you first send a spy out into enemy territory, they won’t be able to report back with that much – to begin with, you’ll have to be content with information on the movement of enemy troops and other low-level secrets. If you’re patient, however, your spy can rise through the ranks of an enemy army to bring them down from the inside, poisoning troops, assassinating enemies, and even inciting war. Of course, if things went your way all the time, your campaigns wouldn’t be exciting, would they? If your spy is caught, they might be brutally executed. They might, however, betray you, returning to your army to sell your secrets back to your enemies. You can find out more about the espionage system in the video below, which features playable general Cao Cao in his attempt to infiltrate the ranks of the despotic Dong Zhuo. We’re not that far away from Creative Assembly’s latest historical outing. The Total War: Three Kingdoms release date is March 7, so our trip to ancient China is only a few weeks away.